The First Team Rampage is the best portable basketball systems you can buy for your driveway. They're great for churches and rec centers too! 6 foot Straight Leg Perm. 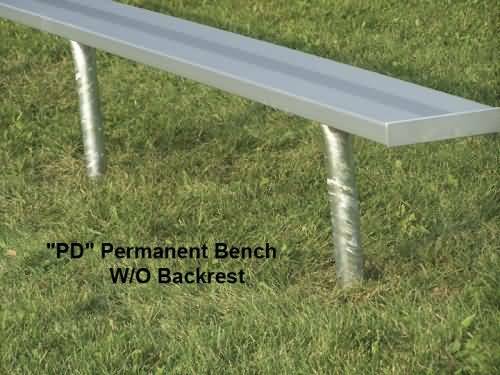 bench w/o back, 2 3/8 inches Galvanized Pipe Understructure, 2 x 10 anodized seat plank.